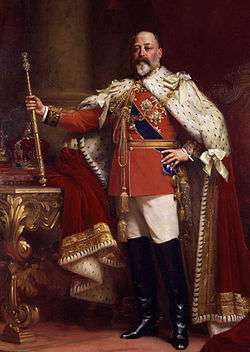 This article is about the reign of King Edward VII in the 20th century. For use of the term Edwardian in medieval English history, see Edward I of England. The Edwardian era or Edwardian period of British history covers the brief reign of King Edward VII, 1901 to 1910, and is sometimes extended in both directions to capture long term trends from the 1890s to the First World War. The death of Queen Victoria in January 1901 marked the end of the Victorian era. The new king Edward VII was already the leader of a fashionable elite that set a style influenced by the art and fashions of Continental Europe. Samuel Hynes described the Edwardian Era as a "leisurely time when women wore picture hats and did not vote, when the rich were not ashamed to live conspicuously, and the sun really never set on the British flag'". Below the upper class, the era was marked by significant shifts in politics among sections of society that had been largely excluded from wielding power in the past, such as common labourers. Women became increasingly politicised. The Edwardian period is sometimes imagined as a romantic golden age of long summer afternoons and garden parties, basking in a sun that never sets on the British Empire. This perception was created in the 1920s and later by those who remembered the Edwardian age with nostalgia, looking back to their childhoods across the abyss of the Great War. The Edwardian age was also seen as a mediocre period of pleasure between the great achievements of the preceding Victorian age and the catastrophe of the following war. Recent assessments emphasise the great differences between the wealthy and the poor during the Edwardian era and describe the age as heralding great changes in political and social life. Robert Tressell's popular novel The Ragged-Trousered Philanthropists is a strong example of the era's social critique. Despite this, this type of perception has been challenged more recently by modern historians. The British historian Lawrence James has argued that, during the early 20th century, the British felt increasingly threatened by rival powers such as Germany, Russia, and the United States. There was a growing political awareness of the working class, leading to a rise in trade unions, the Labour movement and demands for better working conditions. The aristocracy remained in control of top government offices. The government entered the Second Boer War with great confidence, little expecting that the two small rural Boer republics in southern Africa with a combined white population less than London would hold off the concentrated power of the British Empire for two and half years, and take 400,000 Imperial troops to secure victory. At first the war split Britain into anti- and pro-war factions. Great orators, such as the Liberal David Lloyd George, who spoke against the war, became increasingly influential. Nevertheless pro-war politicians, such as Unionist Joseph Chamberlain, maintained their hold on power. When Kitchener took command in 1900, he initiated a scorched earth policy in order to interdict Boer guerilla tactics. This resulted in the relocation of thousands of Boer families to internment camps. As prisoners of war were transported overseas to other British possessions, the majority of internees were women and children. Conditions in the camps were poor, due to overcrowding and bad sanitation. Supplies were unreliable, partly because of the constant disruption of communication lines by the Boers. The food rations were meager and there was inadequate shelter, contagious diseases such as measles, typhoid and dysentery were endemic. Many of the internees died. Emily Hobhouse visited the camps and brought the conditions to the attention of the British public. Public outcry resulted in the Fawcett Commission which corroborated Hobhouses's report and eventually led to improved conditions. In 1901 the six British self-governing colonies of Queensland, New South Wales, Victoria, Tasmania, South Australia, and Western Australia united to form the Commonwealth of Australia, with almost complete control of its internal affairs, but with foreign policy and defense handled by London. 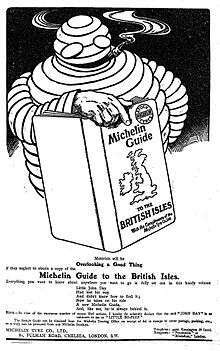 The Unionists proposed Tariff Reform (a form of protectionism with high tariffs on imports) to make the British Empire an economic unit; the Liberals claimed this would make food more expensive, and, in the general election of 1906, the Liberals won a landslide. The Liberal government was unable to proceed with all of its radical programme without the support of the House of Lords, which was largely Conservative. Conflict between the two Houses of Parliament over Lloyd George's 1909 People's Budget eventually resulted in a reduction in the power of the peers in the Parliament Act 1911. The general election in January 1910 returned a "hung parliament" with the balance of power held by Labour and Irish Nationalist members. The Edwardian era stands out as a time of peace and plenty. There were no severe depressions, and prosperity was widespread. Britain's growth rate, manufacturing output and GDP (but not GDP per capita) fell behind its rivals, the United States and Germany, but the nation still led the world in trade, finance and shipping, and had strong bases in manufacturing and mining. The industrial sector was slow to adjust to global changes, and there was a striking preference for leisure over entrepreneurship among the elite. However, major achievements should be underlined. London was the financial centre of the world—far more efficient and wide-ranging than New York, Paris or Berlin. Britain had built up a vast reserve of overseas credits in its formal Empire, as well as in its informal empire in Latin America and other nations. It had huge financial holdings in the United States, especially in railways. These assets proved vital in paying for supplies in the first years of the World War. The amenities, especially in urban life, were accumulating—prosperity was highly visible. The working classes were beginning to protest politically for a greater voice in government, but the level of industrial unrest on economic issues was not high until about 1908. By the late 1880s, the Industrial Revolution had created new technologies that changed the way people lived. The growth of industry shifts in manufacturing factories, special-purpose machinery and technological innovations, which led to increased productivity. Gender roles shifted as women made use of the new technology to upgrade their lifestyle and their career opportunities. For housewives, sewing machines enabled the production of ready made clothing and made it easier for women to sew their own clothes; more generally, argues Barbara Burman, "home dressmaking was sustained as an important aid for women negotiating wider social shifts and tensions in their lives." An increased literacy in the middle class gave women wider access to information and ideas. Numerous new magazines appealed to her tastes and help define femininity. The inventions of the typewriter, telephone, and new filing systems offered middle class women increased employment opportunities. So too did the rapid expansion of the school system, and the emergence of the new profession of nursing. Education and status led to demands for female roles in the rapidly expanding world of sports. As middle class women rose in status they increasingly supported demands for a political voice. In 1903 Emmeline Pankhurst founded the Women's Social and Political Union (WSPU), a suffrage advocacy organization. 1907 saw the Mud March, the first large procession organised by the National Union of Women's Suffrage Societies (NUWSS). More than 3,000 women trudged through the wet, cold and muddy streets of London from Hyde Park to Exeter Hall to advocate for women's suffrage. Although abortion was illegal, it was nevertheless the most widespread form of birth control in use. Used predominantly by working-class women, the procedure was used not only as a means of terminating pregnancy, but also to prevent poverty and unemployment. Those who transported contraceptives could be legally punished. Contraceptives became more expensive over time and had a high failure rate. Unlike contraceptives, abortion did not need any prior planning and was less expensive. Newspaper advertisements were used to promote and sell abortifacients indirectly. Not all of society was accepting of contraceptives or abortion, and the opposition viewed both as part of one and the same sin. Abortion was much more common among the middle classes than among those living in rural areas, where the procedure was not readily available. Women were often tricked into purchasing ineffective pills. In addition to fearing legal reprimands, many physicians did not condone abortion because they viewed it as an immoral procedure potentially endangering a woman's life. Because abortion was illegal and physicians refused to perform the procedure, local women acted as abortionists, often using crochet hooks or similar instruments. Feminists of the era focused on educating and finding jobs for women, leaving aside the controversial issues of contraceptives and abortion, which in popular opinion were often related to promiscuity and prostitution. The Church condemned abortion as immoral and a form of rebellion against the child-bearing role women were expected to assume. Many considered abortion to be a selfish act that allowed a woman to avoid personal responsibility, contributing to a decline in moral values. Abortion was often a solution for women who already had children and did not want more. Consequently, the size of families decreased drastically. The 1834 Poor Law defined who could receive monetary relief. The act reflected and perpetuated prevailing gender conditions. In Edwardian society, men were the source of wealth. The law restricted relief for unemployed, able-bodied male workers, due to the prevailing view that they would find work in the absence of financial assistance. However, women were treated differently. After the Poor Law was passed, women and children received most of the aid. The law did not recognise single independent women, and lumped women and children into the same category. If a man was physically disabled, his wife was also treated as disabled under the law. Unmarried mothers were sent to the workhouse, receiving unfair social treatment such as being restricted from attending church on Sundays. During marriage disputes women often lost the rights to their children, even if their husbands were abusive. At the time, single mothers were the poorest sector in society, disadvantaged for at least four reasons. First, women had longer lifespans, often leaving them widowed with children. Second, women's work opportunities were few, and when they did find work, their wages were lower than male workers' wages. Third, women were often less likely to marry or remarry after being widowed, leaving them as the main providers for the remaining family members. Finally, poor women had deficient diets, because their husbands and children received disproportionately large shares of food. Many women were malnourished and had limited access to health care. Edwardian Britain had large numbers of male and female domestic servants, in both urban and rural areas. Men relied on working class women to run their homes smoothly, and employers often looked to these working class women for sexual partners. Servants were provided with food, clothing, housing, and a small wage, and lived in a self-enclosed social system inside the mansion. The number of domestic servants fell in the Edwardian era due to a declining number of young people willing to be employed in this area. The upper classes embraced leisure sports, which resulted in rapid developments in fashion, as more mobile and flexible clothing styles were needed. During the Edwardian era, women wore a very tight corset, or bodice, and dressed in long skirts. The Edwardian era was the last time women wore corsets in everyday life. According to Arthur Marwick, the most striking change of all the developments that occurred during the Great War was the modification in women's dress, "for, however far politicians were to put the clocks back in other steeples in the years after the war, no one ever put the lost inches back on the hems of women's skirts". The Edwardians developed new styles in clothing design. The bustle and heavy fabrics of the previous century disappeared. A new concept of tight fitting skirts and dresses made of lightweight fabrics were introduced for a more active lifestyle. The 2 pieces dress came into vogue. Skirts hung tight at the hips and flared at the hem, creating a trupet of lily-like shape. Tailored jackets, first introduced in 1880, increased in popularity and by 1900, tailored suits became popular. By 1904, skirts became fuller and less clingy. In 1905, skirts fell in soft folds that curved in, then flared out near the hemlines. From 1905 - 1907, waistlines rose. In 1901, the hobble skirt was introduced; a tight fitting skirt that restricted a woman's stride. The Edwardian era corresponds to the French Belle Époque period. Despite its brief pre-eminence, the period is characterised by its own unique architectural style, fashion, and lifestyle. Art Nouveau had a particularly strong influence. Artists were influenced by the development of the automobile and electricity, and a greater awareness of human rights. In November 1910, Roger Fry organised the exhibition Manet and the Post-Impressionists at the Grafton Galleries, London. This exhibition was the first to prominently feature Gauguin, Manet, Matisse, and Van Gogh in England and brought their art to the public. He followed it up with the Second Post-Impressionist Exhibition in 1912. 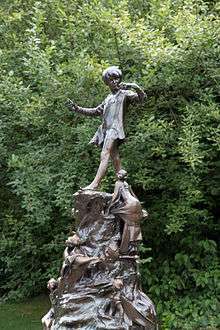 George Frampton’s statue of Peter Pan, "erected in Hyde Park in 1912 ... immediately became a source of contention, sparking debate about the role of public statuary and its role in spaces of recreation." In fiction, some of the best-known names are J. M. Barrie, Arnold Bennett, G. K. Chesterton, Joseph Conrad, E. M. Forster, John Galsworthy, Kenneth Grahame, M. R. James, Rudyard Kipling, James Joyce, D. H. Lawrence, Edith Nesbit, Beatrix Potter, Saki, George Bernard Shaw, H. G. Wells, and P. G. Wodehouse. Apart from these famous writers, this was a period when a great number of novels and short stories were being published, and a significant distinction between "highbrow" literature and popular fiction emerged. Among the most famous works of literary criticism was A. C. Bradley's Shakespearean Tragedy (1904). Mass audience newspapers, controlled by press tycoons such as the Harmsworth brothers, Alfred Harmsworth, 1st Viscount Northcliffe and Harold Harmsworth, 1st Viscount Rothermere, became increasingly important. The available recordings of music, such as wax cylinders played on phonographs, were poor in quality by modern standards. Live performances, both amateur and professional, were popular. Henry Wood, Edward Elgar, Gustav Holst, Arnold Bax, George Butterworth, Ralph Vaughan Williams, and Thomas Beecham were all active. Military and brass bands often played outside in parks during the summer. Cinema was primitive and audiences preferred live performances to picture shows. Music hall was very popular and widespread; influential performers included male impersonator Vesta Tilley and comic Little Tich. The most successful playwright of the era was W. Somerset Maugham. In 1908, he had four plays running simultaneously in London, and Punch published a cartoon of Shakespeare biting his fingernails nervously as he looked at the billboards. Maugham's plays, like his novels, usually had a conventional plot structure, but the decade also saw the rise of the so-called New Drama, represented in plays by George Bernard Shaw, Harley Granville Barker, and Continental imports by Henrik Ibsen and Gerhardt Hauptmann. The actor/manager system, as managed by Sir Henry Irving, Sir George Alexander, and Sir Herbert Beerbohm Tree, was in decline. Notable architects included Edwin Lutyens, Charles Rennie Mackintosh, and Giles Gilbert Scott. In spite of the popularity of Art Nouveau in Europe, the Edwardian Baroque style of architecture was widely favoured for public structures and was a revival of Christopher Wren–inspired designs of the late 17th and early 18th centuries. The change or reversal in taste from the Victorian eclectic styles corresponded with the historical revivals of the period, most prominently earlier Georgian and Neoclassical styles of the late 18th and early 19th centuries. White City Stadium for the 1908 Summer Olympics was the first Olympic Stadium in the UK. Built on the site of the Franco-British Exhibition, it had a seating capacity of 68,000 was opened by King Edward VII on 27 April 1908. It was the largest structure of its type in the world, and was designed to be awesome and enhance the love of large-scale spectacle that characterised Edwardian London. Filmmakers Mitchell and Kenyon documented many scenes from Britain, Ireland and Scotland from 1900-1907, sports, parades, factory exits, parks, city streets, boating and the like. Their films have fortunately survived in very good quality restored from the original negatives. The period featured many innovations. Ernest Rutherford published his studies on radioactivity. The first transatlantic wireless signals were sent by Guglielmo Marconi, and the Wright brothers flew for the first time. By the end of the era, Louis Blériot had crossed the English Channel by air; the largest ship in the world, RMS Olympic, had sailed on its maiden voyage and her sister RMS Titanic soon to follow; automobiles were common; and the South Pole was reached for the first time by Roald Amundsen's and then Robert Falcon Scott's teams. The 1908 Summer Olympic Games were held in London. Popularity of sports tended to conform to class divisions, with tennis and yachting popular among the very wealthy and football (soccer) favoured by the working class. Aston Villa maintained their position as the pre-eminent football team of the era, winning the FA Cup for the fourth time in 1905 and their sixth League title in 1909–10. The club colours of claret and sky blue were adopted by Burnley as a tribute to their success in 1910. Sunderland achieved their fourth league title in 1901–02. The era also saw Liverpool (1900–01, 1905–06), Newcastle United (1904–05, 1906–07, 1908–09) and Manchester United (1907–08) winning their first league titles. 1 2 Hattersley, Roy (2004). The Edwardians. London: Little, Brown. ISBN 0-316-72537-4. ↑ Priestley (1970), pp. 55–56, 288–290. ↑ Battiscombe, Georgina (1969). Queen Alexandra. London: Constable. p. 217. ISBN 0-09-456560-0. ↑ James, Lawrence (1994). The Rise and Fall of the British Empire. Little, Brown and Company. ISBN 978-0-349-10667-0. ↑ David Brooks, The age of upheaval: Edwardian politics, 1899-1914 (Manchester University Press, 1995). ↑ G.R. Searle, A new England? : peace and war, 1886-1918 (Oxford UP, 20040 pp 275-307. ↑ Dorothy Porter, "'Enemies of the race': biologism, environmentalism, and public health in Edwardian England." Victorian Studies 34#2 (1991): 159-178. ↑ Ian Packer, Liberal government and politics, 1905-15 (Palgrave Macmillan, 2006). ↑ Margaret Beetham, A magazine of her own? : domesticity and desire in the woman's magazine, 1800-1914 (Routledge, 2003). ↑ Guerriero R. Wilson, "Women's work in offices and the preservation of men's ‘breadwinning’jobs in early twentieth-century Glasgow." Women's History Review 10#3 (2001): 463-482. ↑ Gregory Anderson, The white-blouse revolution: female office workers since 1870 (1988). ↑ Carol Dyhouse, Girls growing up in late Victorian and Edwardian England (Routledge, 2012). ↑ Cartriona M. Parratt, "Athletic 'Womanhood': Exploring sources for female sport in Victorian and Edwardian England." Journal of Sport History 16#2 (1989): 140-157. ↑ Martin Pugh, Women's suffrage in Britain, 1867-1928 (1980). ↑ Melanie Phillips, The Ascent of Woman: A History of the Suffragette Movement and the Ideas behind it (Abacus, 2004). 1 2 3 4 5 6 7 Knight, Patricia (1977). "Women and Abortion in Victorian and Edwardian England". History Workshop. 4: 57–68. doi:10.1093/hwj/4.1.57. 1 2 3 McLaren, Angus (1977). "Abortion in England 1890–1914". Victorian Studies: 379–400. 1 2 3 4 5 6 Thane, Pat (1978). "Women and the Poor Law in Victorian and Edwardian England". History Workshop: 29–51. 1 2 Benson, John (2007). "One Man and His Woman: Domestic Service in Edwardian England". Labour History Review. 72 (3): 203–214. ↑ Davidoff, Lenore (1973). "Mastered for Life: Servant and Wife in Victorian and Edwardian England". Society for the Study of Labour History. 73 (27): 23–24. ↑ Pooley, Sian (2008). "Domestic Servants and Their Urban Employers: A Case Study of Lancaster 1880–1914". The Economic History Review. 62 (2): 405–429. doi:10.1111/j.1468-0289.2008.00459.x. ↑ Marilyn Constanzo, "'One Can't Shake Off the Women': Images of Sport and Gender in Punch, 1901-10." The International journal of the history of sport 19#1 (2002): 31-56. ↑ Sarah Cosbey, Mary Lynn Damhorst, and Jane Farrell-Beck. "Diversity of daytime clothing styles as a reflection of women’s social role ambivalence from 1873 through 1912." Clothing and Textiles Research Journal 21#3 (2003): 101-119. ↑ Marwick, Arthur (1991). The Deluge. British Society and the First World War (Second ed.). Basingstoke: Macmillan. p. 151. ISBN 0-333-54846-9. ↑ Olian, JoAnne (1998). Victorian and Edwardian fashions from "La Mode Illustrée". New York: Dover Publications. ISBN 9780486297118. ↑ Ann Beth Presley, "Fifty years of change: Societal attitudes and women's fashions, 1900–1950." Historian 60#2 (1998): 307-324. ↑ Kristina Harris, Victorian & Edwardian Fashions for Women, 1840 to 1919 (Schiffer Publishing, 1995). ↑ Sarah Edwards, "‘Clad in Robes of Virgin White’: The Sexual Politics of the ‘Lingerie’Dress in Novel and Film Versions of The Go-Between." Adaptation 5#1 (2012): 18-34. ↑ Priestley, J. B. (1970). The Edwardians. London: Heinemann. pp. 176–178. ISBN 0-434-60332-5. ↑ Priestley (1970), pp. 132–139. ↑ Priestley (1970), pp. 172–176. ↑ A.S. Gray, Edwardian Architecture: A Biographical Dictionary (1985). ↑ David Littlefield, "White City: The Art of Erasure and Forgetting the Olympic Games." Architectural Design 82#1 (2012): 70-77. ↑ James Anthony Mangan, ed. A sport-loving society: Victorian and Edwardian middle-class England at play (Routledge, 2004). ↑ Tony Mason, "'Our Stephen and our Harold’: Edwardian footballers as local heroes." The International Journal of the History of Sport 13#1 (1996): 71-85. Gray, Anne (2004). The Edwardians: Secrets and Desires. National Gallery of Australia. ISBN 978-0642541499. Gutzke, David W. "W. Waters Butler and the Making of a Progressive Brewer in Britain, 1890-1922." Histoire sociale/Social history 47#96 (2015): 137-160. Hughes, Michael. "Archbishop Davidson, the 'Edwardian Crisis,' and the Defense of the National Church." Journal of Church and State 57#2 (2015): 217-242. Sutherland, Gillian. "Self-education, class and gender in Edwardian Britain: women in lower middle class families." Oxford Review of Education 41#4 (2015): 518-533. Trumble, Angus, and Andrea Wolk Rager, eds. Edwardian Opulence: British Art at the Dawn of the Twentieth Century (2012). Thompson, Paul Richard (1992). The Edwardians: The Remaking of British Society. Routledge. ISBN 0-203-41320-2.